6 Things to Look for in a Bankruptcy Attorney (Part 3) - Castle Rock Bankruptcy Attorney - Jon B. Clarke, P.C. As you look for the best bankruptcy attorney to handle your case, be sure to review testimonials from former clients; it can let know to what to expect. Wrapping up our three-part blog 6 Things to Look for in a Bankruptcy Attorney¸ here we will discuss the final two factors that are crucial to consider as you look for the best bankruptcy lawyer to handle your sensitive financial affairs. Review the client testimonials on the bankruptcy attorney’s website. Read testimonials posted on third-party review websites (as a lawyer will likely only display positive reviews on his own website and getting additional info from a third-party source can give you a more well-rounded perspective regarding a lawyer’s services). Ask the attorney for contact info for some of his past clients, and call these former clients directly to speak with them about their experience with this lawyer. Talking over the phone with former clients can shed some light on what you can expect when you choose to work with a specific attorney. Communication and Trust – As you move through the debt resolution and/or bankruptcy process, you will want to be working with a bankruptcy attorney who you trust, with whom you are comfortable and whom you can rely on to communicate with you in an honest, clear manner. 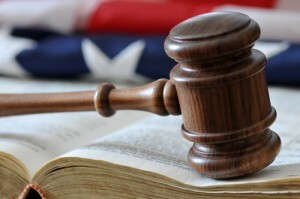 You may have to make some tough decisions as you progress through the journey of resolving your debt, and you need to be able to count on your attorney at every step of the way.Therefore, as you screen possible bankruptcy lawyers, be sure to meet with each possible choice and to ultimately select an attorney with whom you are completely comfortable. Even if a lawyer meets all of your other screening points, do NOT hire him or her if you get a bad feeling from him or her or if you are not comfortable with him or her in any way.